debbie kay designs: Math Facts... here we go! Math Facts... here we go! We have begun our study of Math Facts. I like to begin only after we have begun our unit of study on addition and subtraction strategies. Once we know some strategies, we can then begin to learn specific math facts. 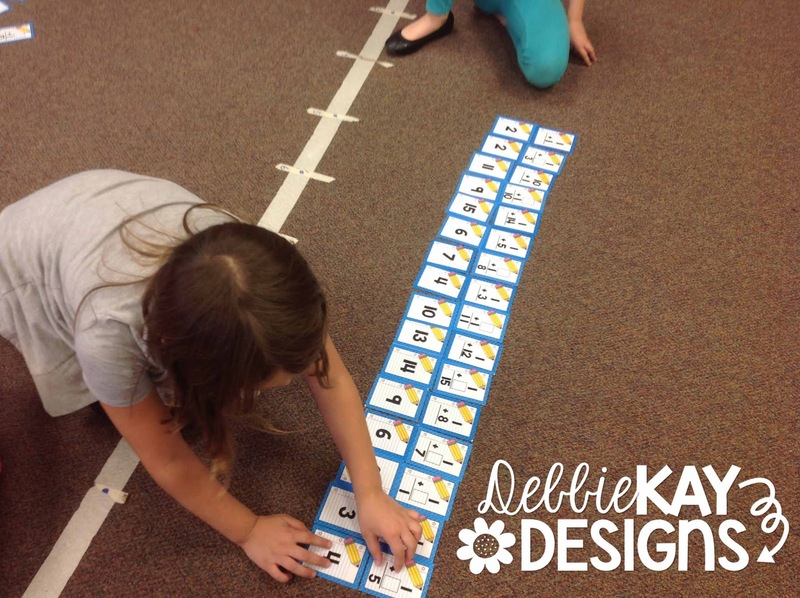 You can read about the program I follow for teaching math facts here and here. Last week, we concluded our study of +1 and +2 facts and began working with -1 and -2. Here you can see my kiddos practicing during math stations with Math Facts Cards. 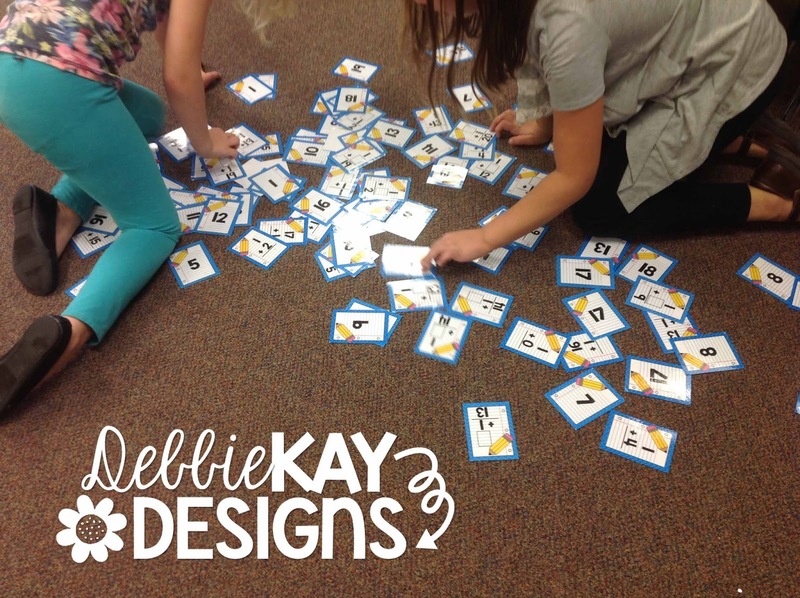 These kids are working with my Addition +1 & +2 Math Facts Cards. They include missing addends, which ramps up the challenge. My kids love to spread out on the floor and try to complete the whole set, matching addends and sums, before our time is up. These two are beginning to work with the Subraction -1 & -2 Math Facts Cards. 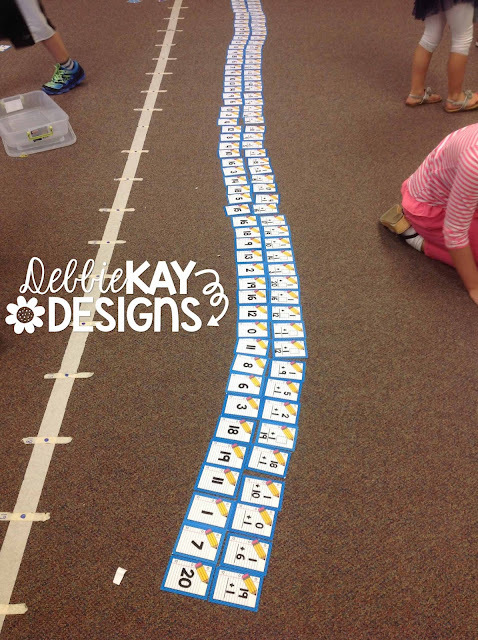 Typically, each new set of math facts begins with an investigation and mini-lessons to teach strategies. I'm a firm believer in kids learning strategies, rather than just memorizing facts. 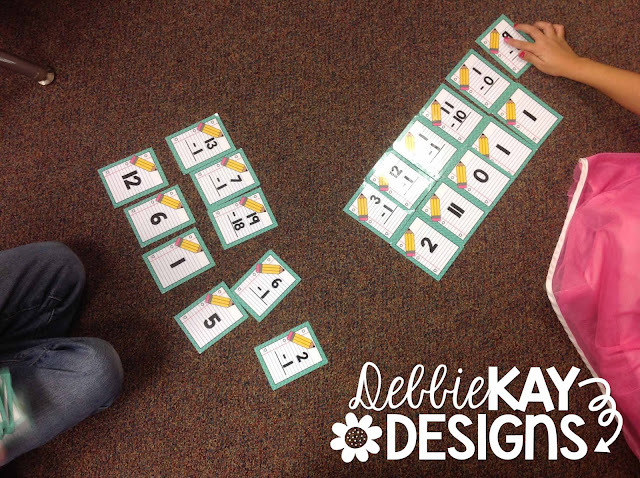 Once they have some strategies in place, they can better understand addition and subtraction and develop their number sense. Once we have some strategies in place, we practice our math facts at math stations. 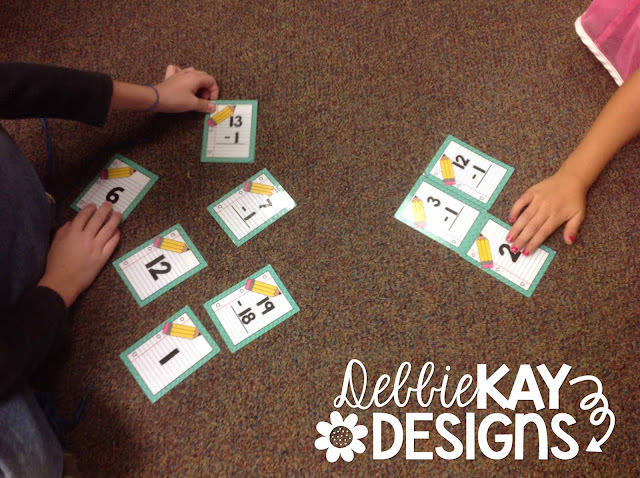 These Math Facts Cards are their favorite. They love the challenge of it and being able to collaborate with a partner. 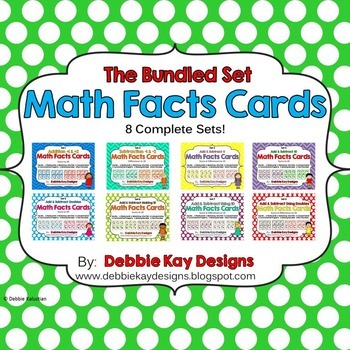 To see all the Math Facts Cards sets I have available, click here. They are available as individual sets, as well as a bundled set.